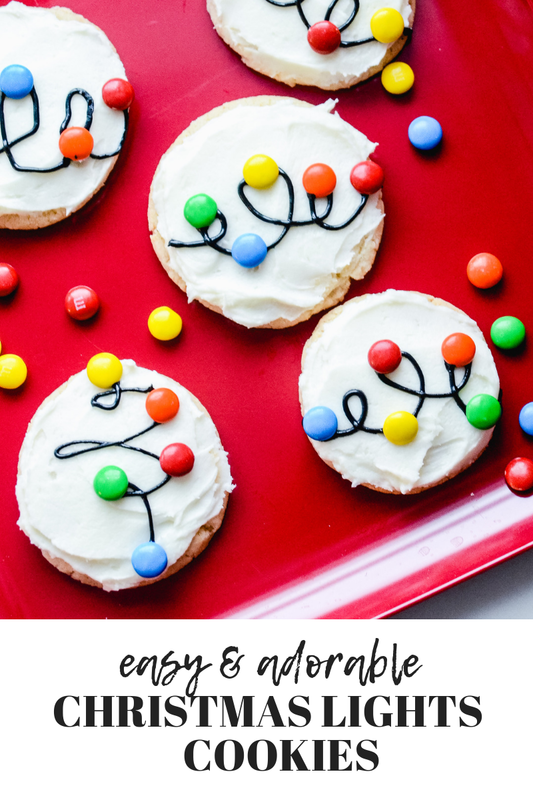 Christmas Lights Cookies | Simply Kierste Design Co.
Easy and adorable, Christmas Lights Cookies are such a fun and festive addition to your Christmas cookie lineup. They’re perfect for helping hands, too! 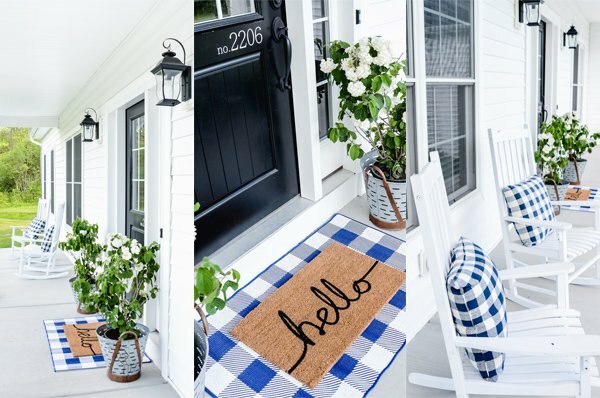 I can’t tell you how fun and easy these are to make! 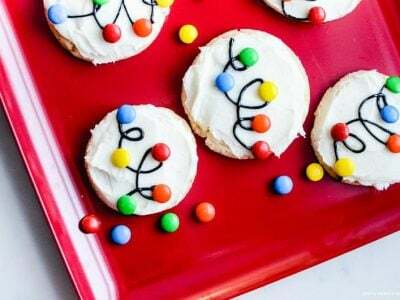 Sugar cookies, frosted with the yummiest buttercream frosting, a little black frosting or gel, and a few M&Ms is all you need to put together these seriously adorable cookies. Affiliate links of products I use and love are included below for your convenience. If you click on a link and make a purchase, I’ll receive a small commission at no extra cost to you. To make them even easier, I use my favorite bagged sugar cookie mix, (or favorite gluten free sugar cookie mix). I can whip them up in less than 30 minutes! This is a great option when you need to make a batch quickly, but still want to impress. Definitely use homemade buttercream frosting (my recipe is below)–it just takes a few minutes, but makes such a huge difference! 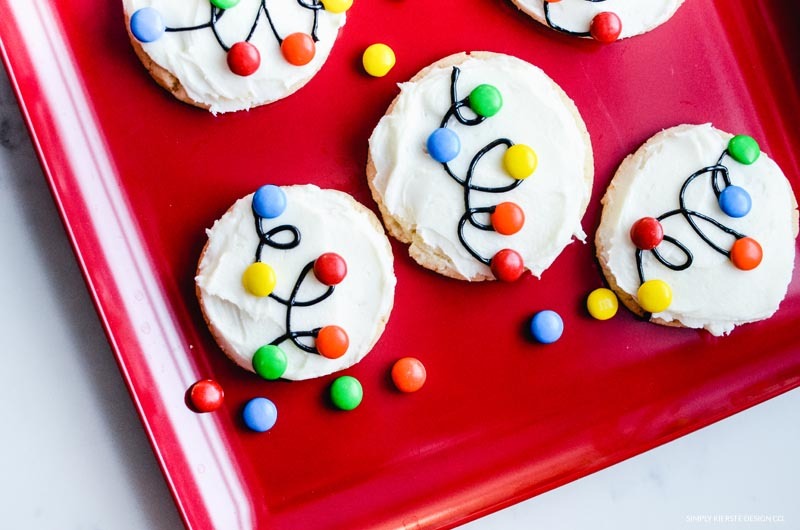 You can definitely use your favorite sugar cookie recipe–whichever you prefer. I’ll also sometimes use my leftover sugar cookie dough after making cutout cookies, to make up a few of these. I just love how colorful they are! Christmas Lights Cookies are perfect for eating at home, taking to a holiday party, or packaging up to give as gifts. My kids absolutely love helping with these cookies. I line them up at our kitchen island, give them the cookies, frosting, and M&Ms, and they go to town. I love recipes that we can do together! Make your favorite sugar cookie recipe, or use a sugar cookie mix. Roll them into balls, and bake into circle cookies. Let cool completely. While the cookies are baking, make the buttercream frosting. Beat together the butter and vanilla, then slowly beat in the powdered sugar. Add enough milk to get the right frosting consistency. Beat well. Mix in a dash of salt. 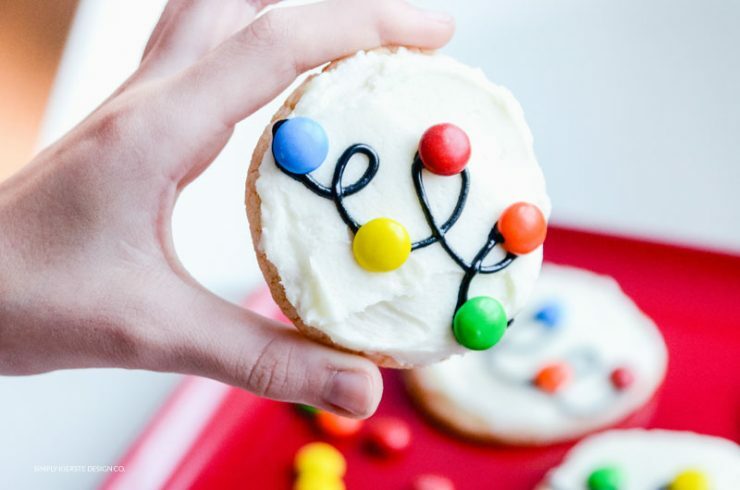 After frosting each cookie, use the black piping icing to make small loops across the top. Add M&Ms (all the colors except brown) where the loops intersect, or where they loop around. Click here to join my newsletter…don’t miss a thing!